Why do you think the greatest lesson about God is "that God is a God of judgment?" Isn't in fact that he is a God of grace, mercy, and forgiveness--"that he did not come to the world to condemn the world but to save the world from its sins?" 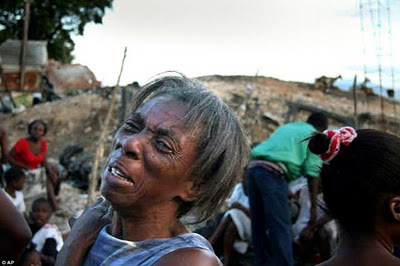 What are your thoughts about Pat Robertson's comments toward Haiti? You are absolutely right that God is a God of love, mercy and grace, and that that is how He wants to be known. God's love is by far the most amazing thing about God! The Bible says, "That in the ages to come he might show the exceeding riches of his grace in his kindness toward us through Christ Jesus." (Eph. 2:7) Amen. Therefore, it is of the highest necessity for us to know God as a God of judgment, for it is only through knowing God as a God of judgment that we know God as a God of love. His love is demonstrated at the cross, the place of judgment on sin. His love is amazing because we as guilty objects of wrath received unmerited mercy from God in Christ Jesus, solely because of His love! His love is amazing against the foundation of His judgment. Perhaps I should have worded it as "the most foundational things we can know about God" or something to that effect. It is so vital because if we don't get the judgment part than we won't get anything else.